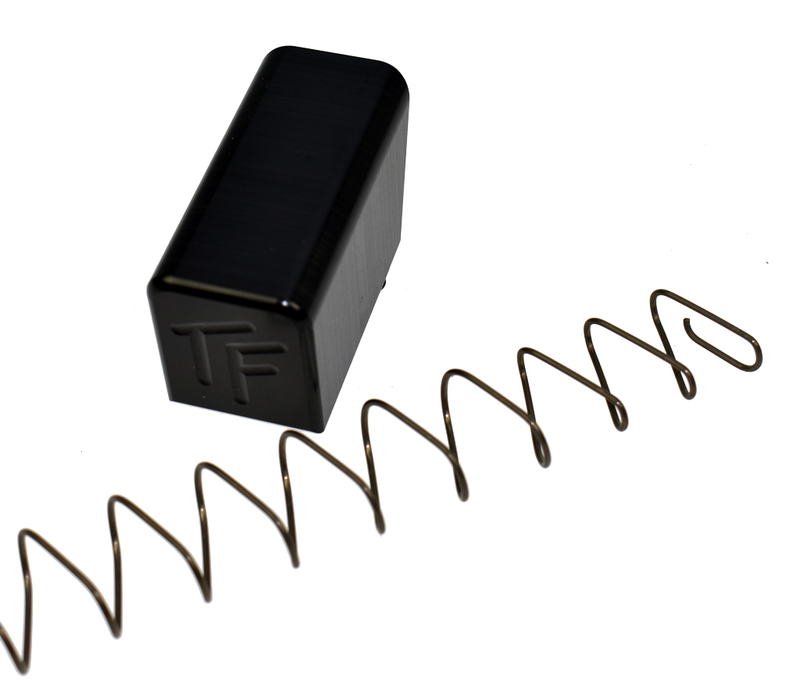 Add the extension kit to your Glock 31/33-round magazine and transform it into a giggle-worthy 41+1 round BIG stick. This is the same extension as the TF well-known 170mm +12, but it ships with a crazy-long machine-pistol spring. 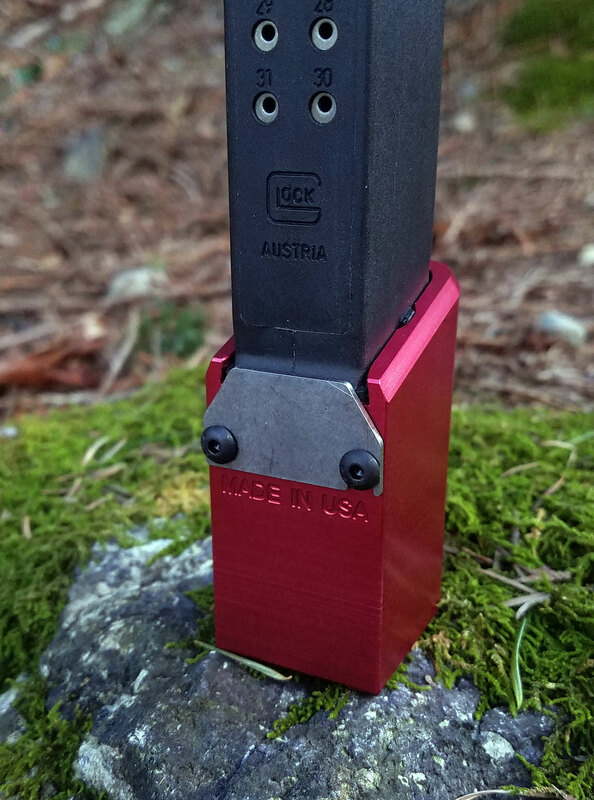 Normally Delrin is used for Glock mags, but TF did these up in a beautiful red-anodized aluminum. Available normally in the 9mm kit, but a .40/.357 Sig, is available by special order! TF can substitute in .40 parts that are used on a 22-round .40 mag, achieving 30+1! There is a DIFFERENCE between the 9mm and the .40, they are not interchangeable. Magazine body not included.